Are you a professional or part-time journalist? 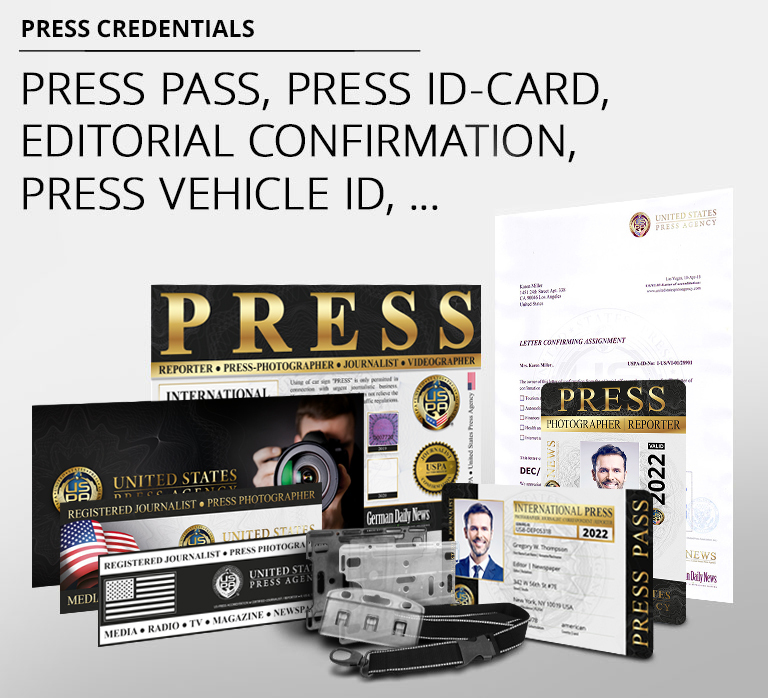 Become a member of the United States Press Agency! At the time of registration, you will be asked to provide your contact information, which is required to issue your press credentials. Attention: You must first upload a passport picture in JPG-format, as registration is not possible without it. Your registration is complete once you have confirmed the activation link you will receive via e-mail. Your membership application will be reviewed and, when indicated, approved within 48 hours. You will receive an email containing another activation link. Clicking on this link will direct you to our website to make your payment. Please select your payment method by clicking on the appropriate button: Paypal or Google Wallet (all payment types from direct debit to credit card). Please ensure all information is complete and click "Send." Data privacy: Your information will be kept confidential (no release of data to third parties). By submitting your registration, you accept the USPA statutes and General Terms and Conditions, which may be reviewed here. Once we have received your payment, you will receive two emails: your invoice and payment confirmation through Paypal. We will then issue and send out your personal press pass and other press credentials. Please allow 10 to 14 days for processing. Please note that international mailing times may vary and can take between 4 and 8 days depending on the destination country.